Single-phase model with maximum power and a 600 l/h water flow: the user-friendly HD 6/15-4 Classic is synonymous with user-friendliness, compact dimensions, lightweight design and high cleaning efficiency as well as profitability. 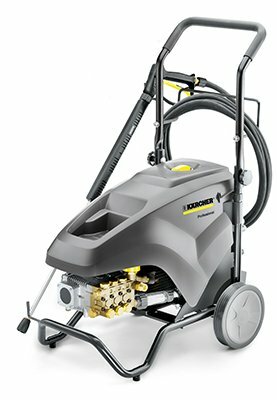 The high quality components built into our high-pressure cleaners allow for continuous use with impressive durability. The machine also scores with serviceability; all relevant parts are easily accessible. The impressive storage options offer enough space for the nozzle, lance and other accessories. Single-phase, compact, strong: the service-friendly HD 6/15-4 Classic high-pressure cleaner with a 600 l/h water flow, powerful crankshaft pump, ceramic piston and the latest sealing technology. The HD 7/11-4 Cage Classic is the ideal entry level machine in the range of powerful and robust high-pressure cleaners from the HD Cage Classic series. It is easy to operate, can be mounted on the wall to save space and saves time and money due to short cleaning times. This single-phase machine with 4-pole motor is designed for continuous heavy-duty use. 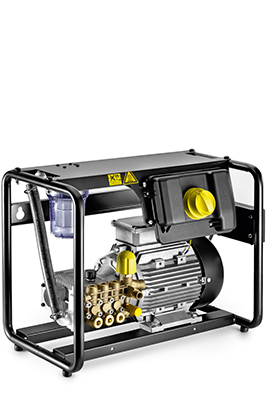 The machine is protected by a sturdy frame construction and features a range of high-quality and extremely long-lasting components such as the powerful crankshaft pump with ceramic piston or the sophisticated sealing technology. All relevant parts are easily accessible and low maintenance. The long service intervals allow long operating times for effective use of the high-pressure cleaner.